Grew up… as the spoiled son of mob boss Tony Soprano. A.J. never truly realized how good he had it growing up. He always took his toys, as well as the opportunities his parents gave him, for granted. Living… a confused life in Northern New Jersey. A.J., who has everything he could ever want in life, doesn’t really know what to live for. He has a vague idea about his father’s illegal activities, but doesn’t know the true extent of Tony’s ruthlessness. A.J.’s misanthropic attitude understandably concerns his parents. “Death just shows the ultimate absurdity of life,” he says during one of his faux-philosophical phases. Profession… student. Though unlike his overachieving sister, Meadow, A.J. doesn’t have much of a gift for academics. Much like his father did at a young age, A.J. constantly misbehaves in school and has difficulty paying attention. His inability to concentrate has caused school administrators to suspect ADD. Interests… videogames, going to the mall with friends and, most of all, eating. A.J. lives for pleasure and distraction. He constantly overeats and spends most of his time drinking soda and playing games on the family television. Challenge… figuring out his place in life. He perceives himself as a victim of his father’s rage, even though he does much to deserve his punishments. He once asks, after making a snide remark about Meadow, “She fools around with ecstasy and you yell at me?” A.J. is sensitive to his perception that his parents favor his sister. The problem is, they basically do, and it’s hard to blame them. A.J. has a lot of growing up to do, and it’s by no means clear that he’s up to the task. Personality… more morose than he should be. For a boy of his age, A.J. seems to be lost in existential crisis. “There is no God,” he tells his worried parents on the day of his own Confirmation. Like his father, A.J. has an ever-present anxiety about his life. But unlike Tony, A.J. doesn’t command respect for his abilities, at least not yet. A.J. 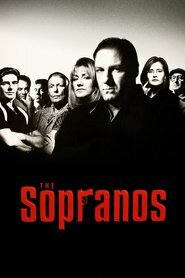 Soprano's popularity ranking on CharacTour is #5091 out of 5,000+ characters. See our top-ranked characters and read their profiles.